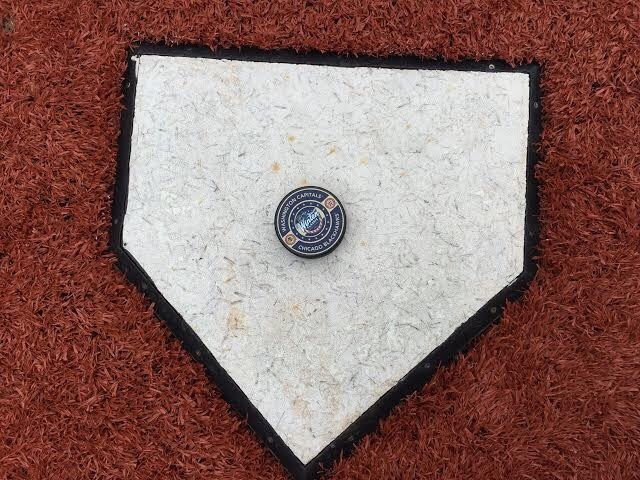 Since 2008 the NHL has created a tradition of having an outdoor hockey game in a football or baseball stadium featuring 2 of the hottest teams in the NHL. 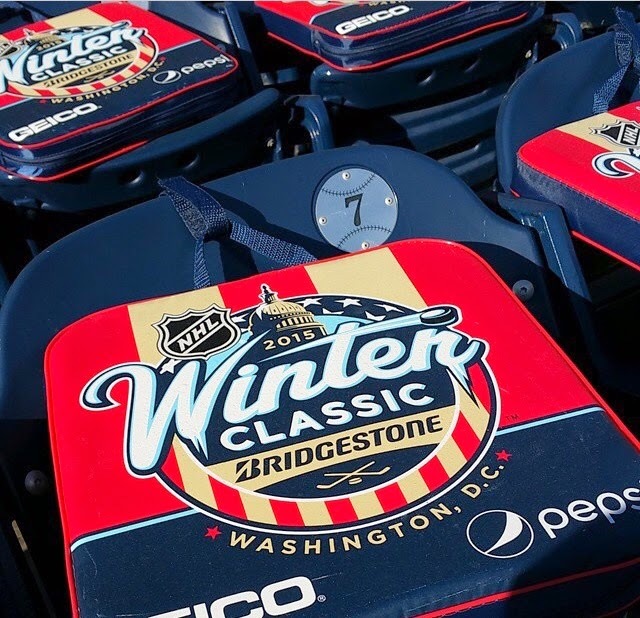 January 1, 2015 is no different; the location is Washington D.C. and the teams are the Washington Capital and the Chicago Blackhawks. Both teams have been on this stage before; Washington in 2011 playing in Pittsburgh at Heinz Field and Chicago in 2009 hosting the Red Wings in Wrigley Field. Entering today Washington has a record of 8-1-3 and the Blackhawks in their last 16 games are 13-2-1. There were 42, 832 hockey fans from all over ready to experience something special and they sure got what they came to see. It was a prefect day for hockey the temperature holding around 40 degrees and the sun not really an issue. 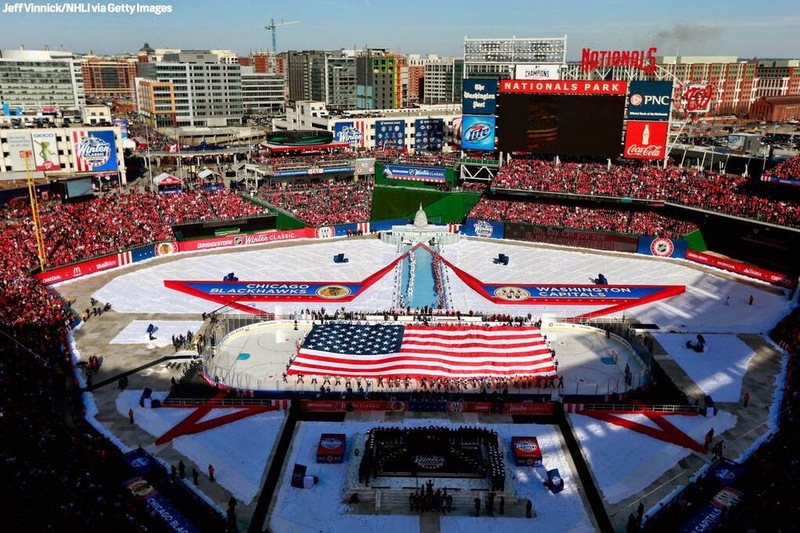 The teams entered to a roaring Nationals Park the through replica Capitol building that was in the outfield and skated to a reflection pool while the flag was displayed on the ice during the anthem. There were also performance by Billy Idol, Gavin DeGraw, and Lee Greenwood. In the first period the Capitals jumped out to a quick 2-0 lead with goals from Eric Fehr (3 goals in 2 Classic appearances) and Alex Ovechkin. The goalies switched ends at the halfway point of the 1st period; which is customary of this event to give each team a chance to deal with the sun glare. After switching ends the Blackhawks went on a Powerplay after a holding call on Nicklas Backstrom; Patrick Sharp cashed in quickly and cut the lead to 1 heading in the 2nd Period. The Capitals start the 2nd period very quick with Ovechkin ringing 2 shots off the posts of the goal. On a beautiful pass from Blackhawks Captain Jonathan Toews, Brandon Sadd scores on an empty net and ties the game at 2-2. The game remained tied at 2 till the very final seconds of the 3rd period. It looked like we were heading to OT like many other Classics had; but Ovechkin got slashed in the process of shooting and Troy Brouwer (former Blackhawk) collected the rebound and scored the winner with 12.6 seconds left. 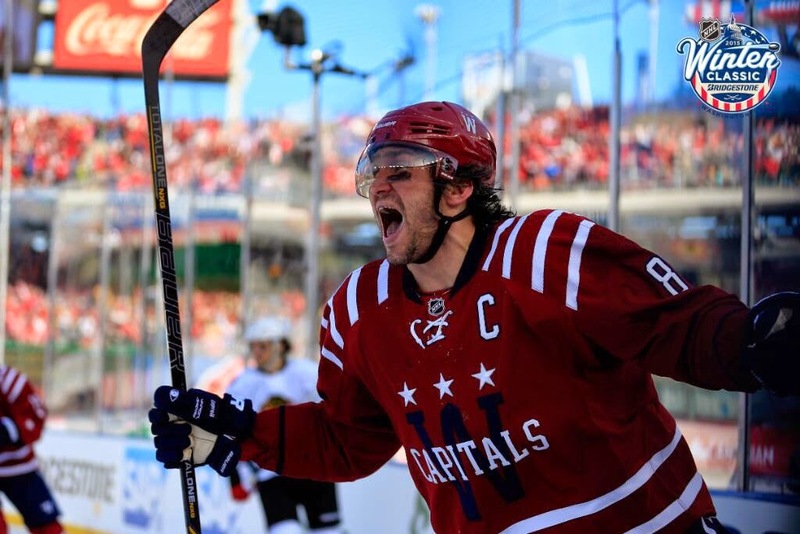 Capitals WIN and becoming only the second home team to actually win The Classic; Boston in 2010 is the other team. Brad Paisley said earlier today ” Today is the 1st blank page of a 365 page book, make it a good one.” Well I would say that the Capitals first page is a memorable one; now they just need to keep it going and make that playoff push to run for the Stanley Cup!!! 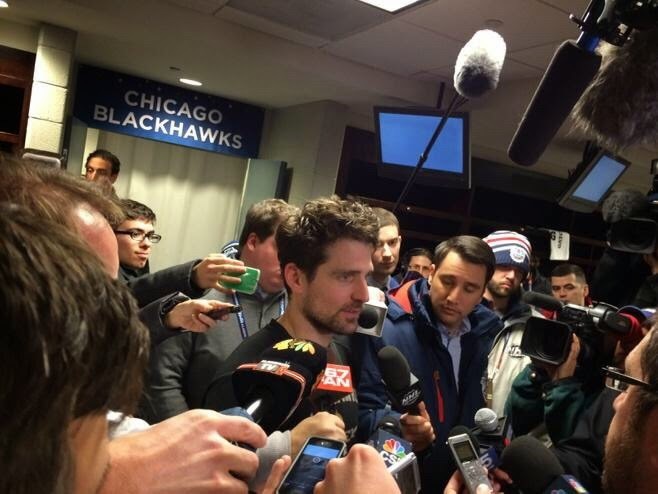 Capitals play the Florida Panthers on Sunday and the Blackhawks play the Dallas Stars on Sunday. Carolina Hurricanes Start 2015 Strong!!! !